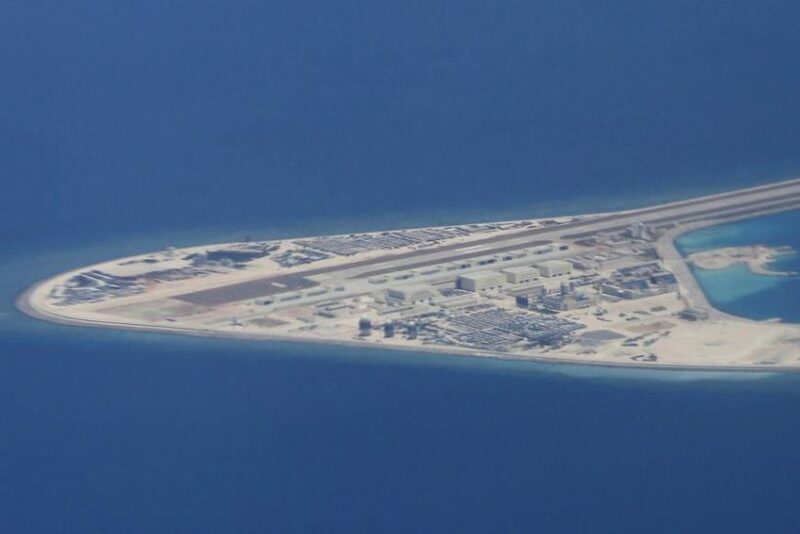 (by David Brunnstrom, Reuters, published Dec. 14) – While attention in Asia has been distracted by the North Korean nuclear crisis in the past year, China has continued to install high-frequency radar and other facilities that can be used for military purposes on its man-made islands in the South China Sea, a U.S. think tank said on Thursday. Find the answers at the CIA World FactBook website. Answers can be found under the “Geography” “People” and “Government” headings. b) Describe China’s construction on the various reefs. 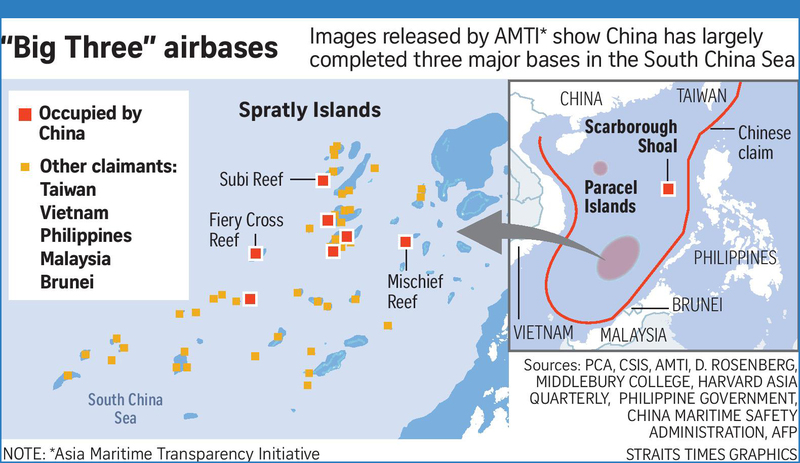 c) Why do the U.S. and our allies oppose China’s building of artificial islands in the South China Sea? d) What do you think of China’s dismissal of this opposition? 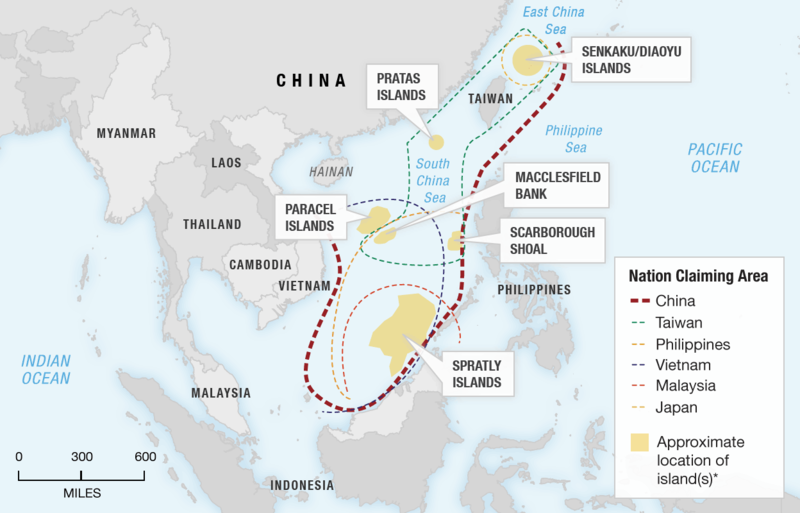 The Philippines, along with Vietnam, China, Taiwan, Malaysia and Brunei, is a claimant country in the disputed Spratly Islands group. Currently the Philippines is occupying ten features (seven islands, three reefs). As a comparison, Vietnam occupies six islands, seventeen reefs and three banks. Taiwan has one island and one reef. Malaysia has one artificial island and five reefs. China has eight reefs.